As an empowerment coach, my work is focused on supporting leaders (often women) to holistically empower and embody their spirit. I believe that our individual work is paramount if we’re to truly co-create new communities that thrive (holistically). Community lives for me when two or more gather. It demands a new framework of expression. One that is supported by individuals who welcome the unity that lives in diversity. Change is rapid in the field of health (and well, truly in all of our social support systems). In many ways this change is long over-due. However, we must not lose sight of our greatest asset, ourselves and each other. It’s important for me to share that everyone I meet, I see as a leader. We each lead our selves in our lives, work and relationships. Whatever your role, you matter! and how you lead yourself, engage with others and lead in community has immense impact. My practice integrates a broad, deep array of traditional & complementary services to meet clients where they’re at in their transition. The choice points are many & it's time for us to embrace our uniqueness, co-create with spirit & pioneer a way forward in community, together. I look forward to walking with you on your journey. Founder of Choice Point Living, Cathy Saunders began her professional career as a Registered Nurse. For over 20 years she practiced in both the US and Canada. In 2006, she embarked on coaches training and has since obtained many certifications and designations in life coaching and consulting. She worked for many years as a coach and consultant within healthcare. In 2012, she opened her business and in 2014, went full-time into business. 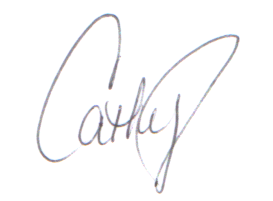 Cathy has continued her own personal and professional development in key areas that have expanded her life and practice. Key approaches and philosophies with roots in ancient science and wisdom have come to define Cathy's unique approach to serving clients as a coach, educator and consultant. Cathy has developed an integrated approach to ensuring women lead vibrant and meaningful lives. She specializes in designing inside out experiences for the modern woman to step fully into their life, leadership & service. Kripalu and Hatha Yoga, Ayurveda, Primordial Sound Meditation and Jyotisha/Vedic Astrology- inside which I have also studied Tantra: The Radiant Soul of Yoga & Four Desires, Rod Stryker along with Dharma Types & Vedic studies with Simon Chokoisky. Bachelor of Science in Nursing. Graduate of Dalhousie University School of Nursing. Over twenty years as a practicing registered nurse in both the US & Canada. Over a decade of experience in health leading system change in learning and leading health system improvements.